"The 77% toss bias for the chaser which existed for ODI disappears into a puff of smoke. In fact, it’s reversed with only 47% of chasers winning in the shorter format"
What format are Saffers playing? South Africa have said the T20 series will be a part of their preparation for the World Cup. How that scans we're not sure. They're completely different formats. Will they be playing a 50-over style in 20? The XI could be the same as the one which finished off a 5-0 whitewash of Sri Lanka in the ODI, save for Lungi Ngidi sitting out with a side strain. Dale Steyn is expected to come in. That means a pace attack comprising also of Kagiso Rabada and Anrich Nortje. Andile Phehlukwayo and Imran Tahir provide variations and spin. Quinton De Kock, Reeza Hendricks, Aiden Markram and Faf Du Plessis form the front four. JP Duminy is in the engine room at six followed by Pretorius, Phelukwayo and Rabada. One suspects a batting line-up like that in a World Cup could be found out. How they fare in T20 is anyone's guess. This lot hardly play together, if at all. Sri Lanka have removed their coach from the firing line after they failed to produce consistently competitive performances in the ODI series. 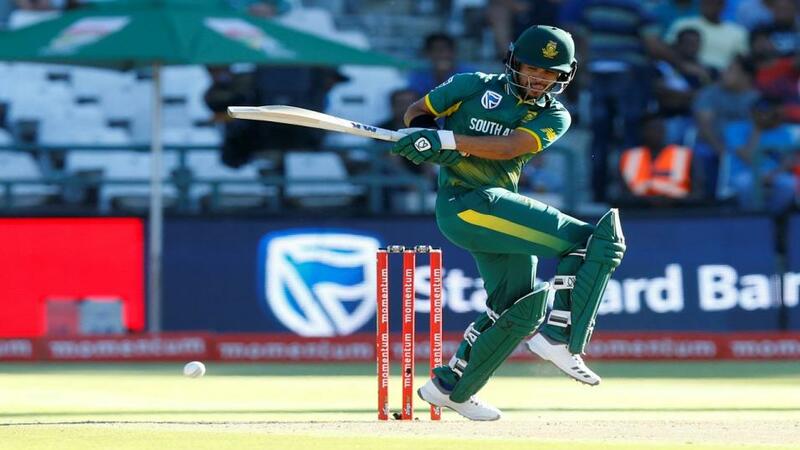 They were once again lacklustre in defeat at Cape Town when they had the added impetus of a massive toss bias in their favour. Couldn't make it even close, though. There have been more comings and goings in the squad but none which impress possible backers. We'd like to see an Angelo Mathews or a Dinesh Chandimal in there. Instead we're looking at Niroshan Dickwella or Sadeera Samarawickrama to take the Saffers by surprise. Lasith Malinga will lead. There is likely to be a debut for Asitha Fernando, a 21-year-old pacer. Much will depend on Kusal Mendis and Thisara Perera using their experience with bat and ball respectively. The strip looked pretty fast and bouncy before the lights went out in the final ODI. It might not be folly to expect more of the same. The average first-innings score at Newlands is 149. Most importantly the 77% toss bias for the chaser which existed for ODI disappears into a puff of smoke. In fact, it's reversed with only 47% of chasers winning in the shorter format. The target will be the average with 150 defended 80% of the time. There is probably a temptation to reckon that Sri Lanka will do better in the T20s. Indeed, many would have reckoned before a ball was bowled on tour it would have been the best chance of landing a few blows. Not so. They're a worse T20 team (according to ICC anyhow) than they are in Tests or ODI, ranked a lowly ninth. Afghanistan have a higher rating. Of course they do. With players like Rashid Khan and Mohammad Nabi you can a hang a wager on them. South Africa are [1.36] with Sri Lanka [3.55]. We could witter on about how there should never be as a big a gulf in this chaotic format but in the absence of a toss bias, dodgy pitch and poor weather to help Sri Lanka out, we'd be clutching at straws at those inflated odds. Quinton de Kock is 12/5 (Sportsbook) jolly for top bat and after razing the Lankans in the ODI he will prove popular. Still, what about Duminy at 5s? He says farewell to his home crowd on his home ground, where he has scored more T20 runs than anyone. Malinga had managed only five T20s for Sri Lanka in the last two years. But he has taken ten wickets in those games with a strike rate of 12. Next best of frequency of wickets is Lakshan Sandakan at 14, although he's played only three matches in that time. The 3/1 Betfair Sportsbook offer about Malinga might be of interest for top SL bowler. Lakshan is 5s. Thisara, with something of a golden arm, is 4s. The top Saffer bowler market is hard to call considering the attack of Steyn, Rabada and Nortje have not played together before. Indeed, Rabada is the only player to have appeared in the last two years in T20 and only three appearances at that. There will be plenty of support, though, for Imran Tahir at 11/4.